When talking about the world of business, report writing and report writing types are deemed the most research-based and highly qualified form of writing that clarifies business process and its modules. It creates a more desirable understanding of the data and facts for the target audience. For writing a best report there is crucial need to have a proper understanding about each of its element. Report writing requires a high skill set as well as an experienced writer who has proper understanding of writing a report. If you are planning to write your report, here is a beneficial peruse of all you need to know about report writing? 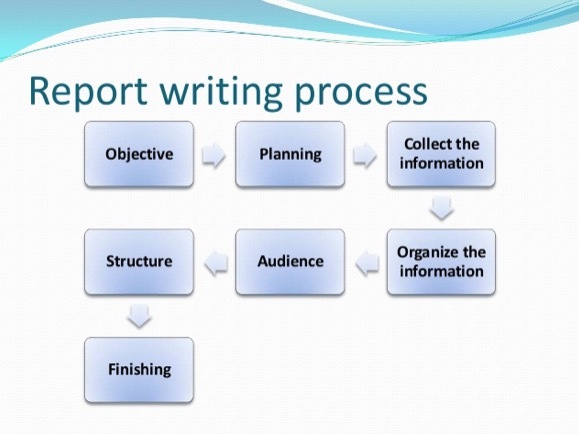 Report Writing is a systematic writing process that requires skills, researches, and details. The report writing process is generally a very time-consuming process and it requires a comprehensive research. Report writing is utilizable for explaining matters or issues informing higher authorities to assist them taking a right decision in regards to the matters or issues. Main focus of the report writer is to make the whole-thing self explanatory to enlighten the readers about a matter or issue. Creativity doesn’t play a vital role in report writing. Report Writing is the dominant tool of media personnel. They hand over information about any incident or topic in the form of report writing. Apart from this, it is also required in other sectors like politics, government, corporate etc. Every firm has its own report writing format and hence a writer can’t make use of a specific format for different reports. When freelance writer writes a formal report, he must keep in mind that the target readers needn’t to do any unnecessary research for taking their decision or action after reading the report. Everything must be thoroughly detailed. 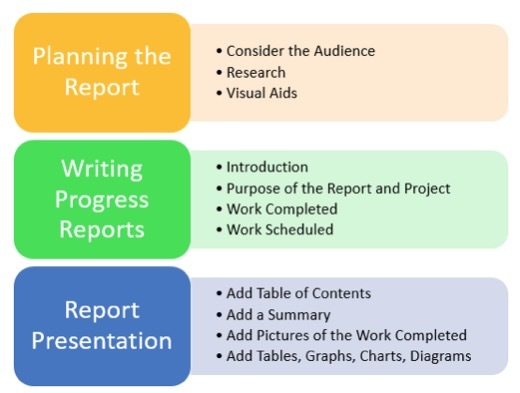 For formatting your report, go through the dominant report writing types stated below. Formal Report Writing is much complicated and time-consuming. Generally, it demands an enormous research, references, lists, explanation, links and many other things. These kinds of report writings are usually preferred for important matters, issues or incidents. It is generally expensive and long. Informal report writing is easier as compared to formal report writing. In this kind of writing, you needn’t to perform many researches. You just need to focus on the basic things including – Introduction, Discussion & Recommendations. This report writing has further few types, such as – Credit Report, Progress Report, Feasibility Report, Financial Report, Literary Report, Personal Evaluation and Sales Activity Report. The purpose of mentioning the above mentioned information is to make you understand the process in an easier and better manner. Furthermore, we mentioned the process that can help you to master the techniques of report writing. For creating an effective and impressive report, you need to follow the right process. Beneficial steps are detailed below to take on the best report writing process. Report Writer needs to keep a clear objective ahead in his mind, why is he creating a report. It assists him/her to stay focused on his report and produce quality outcomes. If you understand your audience, you can definitely be guided to a quality report. Proper understanding can also lead the writer to alter the use of language, supporting material and data incorporated that can elevate the satisfaction for the set audience. A good understanding makes the writer to present the report that suits their preference. For producing an effective report, a particular format must be followed, based on parameters like, presentation or written report; type of report – formal/informal, technical, problem-solving, annual, or financial; designing of templates if any available. Addition of facts, figures and data adds up the reliability to the report. These facts or figures plays a crucial role in mentioning the sources, like articles, interviews, sayings, etc. Generally, a report consists of four elements including, the executive summary (after the report is finished), introductory part (describing the structure and table of contents), body of the report (main text), and conclusion part (displaying a systematical end). This is a crucial part as it makes the report enjoyable and accessible to read. Use proper sentences which makes sense. Consider using online grammar checking tools to avoid spelling and grammatical mistakes. Reaching this point, now it can be assumed that you have attained all the understanding about writing reports. Now, have a look at some actual examples of report writing. For your assistance, there are many report writing samples available over the web that can help you to bring up a perfect report. Undoubtedly, report writing is deemed as a convoluted process, but if you haven’t enough skills of writing the report then outsourcing the writing process can be the perfect option available for you. You can concern with the hired professionals. They will offer you their report brief before submitting the final version. They will guide you the important elements for composing good report like, format of report, presentation of the content, etc. This the sample report mentioned above, aspiring as well as established report writers can make the best out of report writing. Report writing is the best perception for ending a project and documenting the enough information for the upcoming projects. The best method represented in steps offers a systematic way to develop a report. If you are now supposing to start report writing, or want a successful journey in report writing, then the above mentioned information might help you in fulfilling your desires. Guest article written by: Maninder Singh, a professional and creative content writer at Just Articlez. He is working as a freelancer past 4 years. His specialization is to write a poem, poetries and make creative taglines for brands.